← It’s time to get engaged! 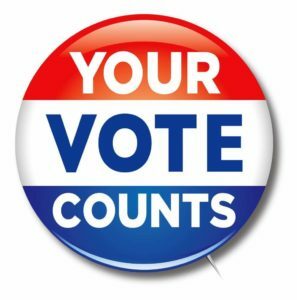 In an earlier post I asked you to be on the lookout for any local voting guides that include questions for candidates about science education. We now know the conservative organization Florida Votes Values started rolling out their surveys with ones for Lake, Marion and St. Lucie Counties, and they’ve promised more are on the way. Amend DOE Curriculum Framework for Biology and Life Science to allow the teaching of life by intelligent design. Allowing parents the right to withdraw their children from classes teaching material contrary to their moral values. Specifically mentioning intelligent design, which was found to be a religious view and not science during the 2005 Pennsylvania Federal District Court case Kitzmiller v. Dover, seems like a very dumb move here. It looks like the statement was simply copied from previous years’ surveys. That’s OK. It helps us establish a paper trail in the event someone does get elected and tries to stir up trouble of this nature. Meanwhile, the folks at the Florida Citizens’ Alliance have partnered with the Christian Family Coalition Florida to produce voter guides. However, no science related topics are included on the surveys released so far. Interesting. Please be on the lookout for other voting guides and let us know if you find any! Thanks for keeping us informed. WHICH democratic gubernatorial candidate is best for science education? As I recall, FCS cannot tell you who to vote for, because of how the organization is registered for tax purposes. They can provide information about candidate’s positions, but they can’t just tell you “vote for this guy” because then they’d be a different sort of organization and be taxed more. I expected someone more official to explain this but nobody chimed in so I added my poorly remembered explanation. Michael Suttkus, II – Absolutely correct: as a 501(c)(3) organization, Florida Citizens for Science (like Red Cross, the Girl Scouts, all churches, Planned Parenthood, United Way, etc, etc, etc) has to stay strictly out of any and all election campaigns. This does leave FCS, and all similar groups, free to criticize statements and policies of elected officials and candidates, or to urge specific action on particular issues (so please don’t believe the religious-right demagogues who tell you their churches are “muzzled”), but endorsing or opposing individuals on the ballot would violate federal law. What about just a plain statement or information about candidates & their support of science? I wouldn’t think that would be a problem for a 501c3? Especially if all candidates’ viewpoints are shown. That’s not advocating for a particular candidate, but would certainly help us make our decision. Candidate ‘B’: supports teaching only evolution. Does not support ‘strengths & weaknesses’. Candidate ‘C’: supports teaching ‘strengths & weaknesses’.